Sidney Matinée: Victoria Guitar Trio | Oak Bay Music: Chamber Music Concerts Victoria B.C. 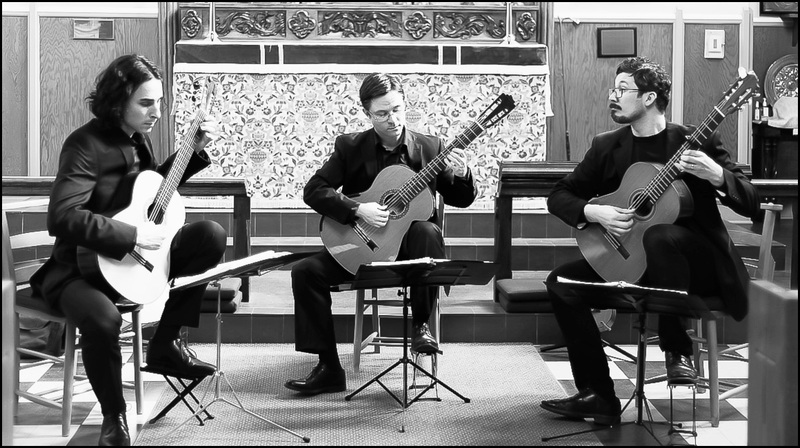 On Saturday October 3rd, the Victoria Guitar Trio will open the first season of Sidney Matinée. Adrian Verdejo, Bradford Werner and Michael Dias will perform a blend of European Renaissance music arranged for plucked strings and lyrical 20th/21st Century works by West Coast composers. This concert takes place at St. Andrew's Anglican Church (9686 Third Street, Sidney), which has its own parking lot, and there is ample free parking on surrounding streets.